If you've been putting off taking out public liability insurance because of cost, you might be surprised at just how affordable it can be these days. Of course, there's also the small matter of the fact that it can mean the difference between your business being covered and going out of business due to an unexpected claim. As with all insurance, public liability insurance cost is certainly a factor when it comes to deciding whether or not to take out a policy, but the price really shouldn't be the be all and end all for you. First of all, we'll take a look at whether or not you need it to begin with. Public liability insurance covers your business should a member of the public (which broadly means anyone who doesn't work for your company) be injured through an accident caused by your company or its employees. 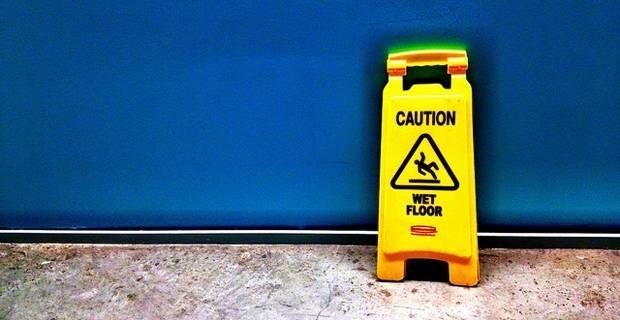 It doesn't need to be a major accident, someone slipping on water that hasn't been cleaned up, for example, would call upon public liability insurance. So if your company has any major dealings with the public, or there's even a slim chance that you could end up on the receiving end of legal action because of employee negligence, it's certainly better to be safe than sorry. Fortunately, public liability insurance can cost far less than you think. By going through an established and trusted broker for your public liability insurance policy, it may be possible to get coverage for as little as £60 per week, that's according to business financial experts Simply Business. While that's certainly on the lower end of the spectrum when it comes to public liability insurance cost for a year, many companies should be able to find reasonable coverage for around £250 to £500 a year, but it will very much depend on the kind of work that they find themselves in. Ultimately, you're only going to find the cost for your business by getting in touch with your financial advisor, or insurance broker, and actively seeking out quotes. Make sure to shop around though, as the difference in price can be quite substantial.